Kristian Marek: Space Attorney - Turnabout Ace! Arriving at the great Dyson Sphere, Ur-Kal, Kristian Marek has gotten himself a new badge by tempering his soul, courtesy of an encounter with the senior hunter, Zhirgo Chaka. Having reinforced both his badge and his resolve, he rendezvous'd with his client, Vadimar the matchless space ace, and prepared his casefiles for the upcoming trial. Now, the day has come. The time is now. Within a small waiting hall that branches off into the different areas of the Prime Galactic Tribunal...he awaits the beginning of the trial. Marek paces back and forth, his anxiety impossible to hide. Evidence is everything in the courtroom, but this was not a murder trial, here an idea would be challenged. Could Marek hope to sway the galactic opinion on this issue? "You should calm yourself, Mr. Marek. Distress isn't good for the Hunters. I cannot image lawyers do better with it." Turning around, Marek saw a familiar figure take a seat at the entrance. None other than Aro, the receptionist at the Hunter's Guild! What was he doing here? Marek pauses, his jumbled thoughts collapsing in his head "Oh...hello there, what brings you here to this courtroom?" As usual, Aro's eyes were closed. "As a coordinator for the Guild, it is my job to keep myself informed and up-to-date on galactic events. As soon as I heard that a trial for the emancipation of a rogue piece of Wordtech was scheduled to happen, I booked time in my schedule for it. Given its potential repercussions, I would like to witness it first-hand." He smiled, ever so faintly. "And besides...I am quite a fan of logic and debate. There's no way I'd miss what promises to be such an entertaining battle of words." "I've been scouring the datalinks for all the relevant details I can find for this case...and yet, I do not feel adequate to the demands of the task before me. I am sure there will be entertainment, but I can not promise it will not be at my own expense." Marek takes a few deep breaths, following the aforementioned instructions to calm himself. It really would not do to get himself too worked up. A calm mind is a capable mind. "In the Hunting business, one of our most beloved maxims is this: "Preparation Is The Key To Victory". If you have researched your case well, then you have nothing to fear." Aro's peaceful expression creased into a frown. "Although...another one of our maxims says, 'Know Your Enemy As You Know Yourself'. Have you researched your opponent, too?" Marek blinks. He had been so focused on the details surrounding the case that it completely slipped past him to look into who would be prosecuting this case. "Ah...hypothetically speaking, if I were to answer 'no', what would the name of my opponent be?" "Seems like it was a good thing my curiosity brought me here, then. Let's see..." Aro drew a deep breath, concentrating, searching through his mental databanks. "Syrr Safir. A Dominian prosecutor of some renown. Young and focused, and known for wringing concessions out of his opponents. They call him the Sole Survivor, because after all his opponents' arguments come crashing down, he is always the last man standing. A rival not to be underestimated, for sure. You can see him over there, the one performing meditation exercises." Indeed, on the far side of the hall there was a Dominian wearing an elegant silver-black adaptive suit with a see-through helmet. His poise was impeccable, and he seemed to be at peace with the world as he breathed in and out, eyes closed. "If he crushes all arguments, then I will just have to have enough to wear him out. He looks so calm though...he seems like the sort that could last indefinitely. How long has he been practicing?" "Ten years, if I'm not mistaken. He's but a pup to the great lawyers of the galaxy, but considering he has taken on more than thirty cases in that timeframe, not at all lacking in experience." "I see...he'll have quite a number of advantages then. But there is one thing, at least that he does not have." "Hm?" Aro said, half-opening an eye to look at Marek. "And what is that, then?" Marek presents his badge "The Truth. He'll make compelling arguments of the sort that might sway the opinions of the masses, but there will always be something not quite right about them when probed deeper. History is full of well intended arguments that over time were challenged and overturned. If it does not happen today, then it will happen in the future to come." There was a brief silence as Aro considered Marek's words. Then, he nodded, slowly. "With such a mindset, I would bet on your victory. I am sure you will impress the judges." Just then, a light near one of the exits to the hall lit up. At once, Safir stood up, and headed for the door. "Seems like it's time for the trial to begin," Aro said. "Good luck!" "Thank you, I will perform as best as I am able." Marek will likewise head for the door, his doubts beginning to ease as his professionalism started to take over. Re: Kristian Marek: Space Attorney - Turnabout Ace! Three gavels slamming against a desk in the form of an elongated crescent brought the half-empty courtroom to silence, putting a stop to the chatter coming from the stands. The light of Ur-Kal illuminated the section of the great open dome that had been allocated to the trial. The Judges took up part of the dome's outer wall. Marek and his opponent stood on elevated podiums to the sides. In the center, a massive holo projector separated them. To the sides of the corridor linking the courtroom to the lounge, one could see the stands. Aro had, of course, sat in Marek's corner, to the left. The judge on Marek's side was a thin (one could even say spindly) Audacian woman, with kindly eyes and a serious expression on her face. On the opposite side, the Inferian judge, bulky and fearsome, glared at the two attorneys with a contemptuous look on his face. In the center between them sat an elderly-looking human man with a mostly-bald head and a magnificent silver beard, wearing a thoughtful expression on his face, his eyes closed for the moment. As the echoes of the gavels finally receded, however, he opened his eyes. "Attorneys!" He said, with a resonant, powerful voice. "Stand up!" Prosecutor Safir rose...and in the same breath, turned and bowed to the judges, before pulling himself up to stand perfectly straight. Marek also rose, although it is a bit harder for a Luminian to judge an adequate height not being confined to the length of their bodies, but enough practice had resulted in an acceptable distance. A bow was out of the question, but Marek could still strike a respectful pose, if a bit lacking in the impeccable grace his opposition showed. Today marks the beginning of Vadimar vs the State of Galería. As the plaintiff is not capable of attending this trial directly, we have prepared an audiovisual display for him to participate in the trial through. Is the device ready?" "Yessir!" Chimed in a much less impressive voice, belonging to a peppy Lilimian tech. Moments later, a holograph flicked to life to the right of the Judgement Podium. "It has begun, I take it?" Vadimar's unmistakable voice said, preceding the appearance of his visage. "Vadimar, the matchless space ace?" The Audacian judge asked. "It is I. If my attorney is ready, then I am prepared to begin the trial...Your Honours." "Hmph. That didn't come easy to him, did it," the Inferian Judge murmured. Nonetheless, the Human Judge pressed on. "Attorneys. I trust you are ready to begin as well?" "I am ready, your honors"
"The prosecution is ready, Your Honours." Safir's voice was clear and confident, like a note from a silver clarion. "Very well then! The plaintiff may now present the facts of the case and the relief their client seeks. Mr. Marek, the floor is yours." And with that, all three of the judges sat down, awaiting Marek's presentation. "Your honors, my position is simple. My client, Mr. Vadimar, seeks only to be afforded the same rights and privledges that people similar to him already enjoy. Not only is there historical precedent to support this action, but a moral imperitive towards safeguarding the rights of all sapient life. These form the bedrock of the truths that the defense seeks to establish today in this trial." It happened too fast to see. ...And the next, a voice resounded across the courtroom. "The requests made by Your Honours were quite clear, Mr. Marek." Mr. Safir said, crossing his arms and glaring at the squid attorney. "You were asked to present the facts of the case, first and foremost. Is your grasp on this case so feeble that you cannot recount its events for the benefit of court?" Murmuring spread across the room, before three light taps of a gavel silenced the court. "Mr. Safir," the Audacian judge spoke out, calmly, but firmly. "While your concern is appreciated, such tactics are better suited to a two-penny warhawk pundit than a galactic prosecutor. Attorneys are allowed some leeway in the presentation of the facts of the case, as I trust you are well aware." In response, the prosecutor nodded, stiffly. "Good. Then I will ask that you refrain from further interruptions until the plaintiff has finished their presentation. If egregious attempts at propaganda do crop up, we will be the ones to correct them. Thank you very much." Turning towards Marek, she gave him an encouraging smile and nodded. "Mr. Marek. If you would continue with your recounting of its events, please?" "As for how this circumstance came about to begin with, yes, a brief summary is in order. In short, it came to my attention that certain misdeeds were occurring on Galeria. In the course of investigation, it was revealed that there was a secret base containing illegal renewed wordtech research. Exploring this base revealed that there was indeed a wordtech presence, Vadimar and Endursaga. It was initially believed that such a display of power was to be eliminated without question, but over the course of the battle a trend was made apparent that demanded a rethinking of that point. Vadimar demonstrated the capacity to be more than just a tool, and in so doing, earned the right to be free from his cage." With this, Marek concludes his opening and lowers himself downward. "An accurate and succint summary, to be sure," the Human Judge said, his eyes once again closed as he ruminated Marek's words. "Shall we take your words before Mr. Safir's interruption as your opening statement, Mr. Marek? Or is there anything else you wish to add?" "I have nothing further to add, your honor"
"Very well then." The Judge said, nodding. "Mr. Safir, the prosecution may make its opening statement now." The prosecutor immediately perked up in response. "Your Honours!" He said, his voice loud and clear. "The plaintiff's remarks are misguided at best, malicious at worst. His client is a sapient machine, that much is true, but he is also a tool of destruction with no concept of remorse nor a capacity for nobler action. To allow him to roam free would be tantamount to granting a violent inmate of an insane asylum a free pass out, as well as a weapon with which to defend himself. If you will allow me to, the prosecution will now put the plaintiff's logic to the test." The Audacian Judge did not seem pleased with the prosecutor's inflammatory remarks, but the Inferian judge had a smirk on his face, and the Human Judge did not seem to be bothered. "Very well," he said. "As is standard, the plaintiff will present their facts and assumptions. The prosecution will then attempt to disprove a fact, or show the illogic of one of the plaintiff's assumptions. Should he not succeed, the plaintiff will then be entitled to do likewise with the prosecution's logic. Are you ready to begin your defense, Mr. Marek?" "I am ready, your honor." FACT: My badge carries a part of my spirit. ASSUMPTION: Since my badge carries a part of my soul, my badge is as unbreakable as my spirit. FACT: Vadimar is a sapient being. FACT: Inorganic sapients may be granted equal rights to organics, if requested. FACT: Vadimar has weapons built into him. FACT: Luminians have laservision built into them. FACT: Luminians are not, in general, treated differently than any other galactic race. ASSUMPTION: The possession or lack thereof, of inherent weaponry is not justifiable cause to deny a sapient being rights. "Hmph. Is that all?" Syrr Safir's voice practically drips contempt. "Very well. This trial will be much shorter than I thought!" "Mr. Marek. You say that the robot known as Vadimar is equpped with built-in, inherent weapons. Is that correct?" A decidedly innocuous question. Clearly the beginnings of a larger setup. "And the same would go for Luminians." He did not await an affirmative answer to continue. "Mr. Marek, do you adscribe to the tenets of any religion?" "No, I make as few assumptions about the universe as possible." "Then you do not believe that the Luminians gained their inherent weapons as part of an intelligent design to arm them so. Correct?" "The intent does not alter their presence, but no...I do not believe such." "Very well. Then let me ask you another question. I believe Luminian children lack the capacity to control their laser vision, at least at first, and thus present a certain amount of danger to their surroundings and their relatives. Is that the case?" "That is indeed so. It is a phase that all Luminian go through." "Good." For the briefest of instants, the prosecutor's face was adorned with a broad, hungry grin, but then it disappeared, replaced by his usual poised expression. "If I may ask, Mr. Marek. I believe your client, 'Vadimar', was created as a weapon of war. Is that correct?" "That was his initial condition, yes." "And throughout his continued existence, he has alternatively been in a state of war, or kept imprisoned and cut off from all sapient contact." "Mr. Marek." Safir's voice gained an edge, as he leaned forward, placing his hands on the edge of the podium. "Is that not the case?" Marek does not address Safir directly, but instead turns to the projection of Vadimar "Mr. Vadimar, at this moment, would you consider yourself cut off from all sapient contact?" "I am bound in chains, in a state of disrepair, sworn into silence by court proceedings, and kept in the dark." Vadimar's voice dripped with sarcasm and bitterness. "Yes. I am cut off from all contact." Unlike the last time, however, when he struck his hand out and pointed at Marek, a tangible force raced forward with a whoosh of wind, and pressed him backwards towards the back wall of his podium. "HONOURABLE JUDGES AND AUDIENCE!" His voice boomed, augmented far beyond the capabilities of his vocal chords. "As established by the plaintiff's example, when a nascent intelligence is provided with weapons before it knows to control its use of them, it presents a danger to itself and others! Ever since his creation, the defendant has never been taught the meaning of restraint! My opponent's assumption...IS FAULTY!" Immediately, all eyes turned towards Marek, adding to the pressing weight upon him. His foe had finally made his first attack! It was now his turn to provide a counterargument against him...and quickly, before his objection swayed the judges! Coming from the stands, Marek felt another gaze fall upon him. This one, however, lacked the others' weight, being more inquisitive. Having opened his silvery eyes, Aro was now staring at him, silently asking what his next move would be. Marek will CHALLENGE Safir's claim, selecting evidence that will beyond a shadow of a doubt poke a hole in the prosecution's argument. "OBJECTION!" Marek will present video records of Vadimar's time in transit between Galeria and Ur-Kal and time on Ur-Kal itself. "As these records clearly demonstrate, Vadimar is able to refrain from taking violent action. Clearly Vadimar has the capacity to choose whether or not to engage in violent behavior. That there was even transport and this trial to begin with is a testament to such." "HAH!" Safir barked a triumphant laugh. "Is that all you have to say in defense of your client? As the honourable judges can clear see, the defendant was in chains for the duration of his voyage! He did not commit violent acts because the capacity for violence was forcibly taken away from him!" "If one willingly submits to being chained, is that not a form of restraint?" Safir smirked. "Did he now? As I understand it, you yourself participated in a battle to subdue your client. It was only after he had been totally disabled that he was put in chains!" "The chains were not just physical. Before the battle concluded there was an agreement that should he be defeated, a trial would take place. If he wanted to leave bad enough, he could probably break free of them, but it his obligation to himself and Endursaga that keep him where he is. His hope for the future is just as strong a binding." Marek's rebuttal was calm, and as he uttered it, he felt the pressure upon him release...yet the air around him stirred. And suddenly, Safir took a step back, clutching his chest as though he'd been punched. "Hrrk?!" The murmuring reached a fever pitch. Clearly, the prosecutor had not been expecting this! With how perfect his poise had been up 'til this point, even the blindest member in the audience noticed the change. The public's opinion had clearly shifted - impressed by the fact Marek had participated in a battle with such a monstrous inorganic, but moreso by the fact he had been the one to convince Vadimar to go to trial. Three gavels gently tapped their desks. "That concludes Mr. Safir's examination of Mr. Marek's opening statement." The Human Judge said. "Mr. Marek, Mr. Safir does raise a good point. Please amend your logic to include his remarks on the necessity of learning restraint with dangerous weapon handling. HOWEVER!" He added. "Worry not. Your defense was impeccable. We will consider this a simple clarification of your initial arguments." Safir looked like he wanted to say something, but he bit his tongue. This time, at least, it was clear he had been defeated. FACT: From a young age, Luminians learn restraint in controlling their laservision. ASSUMPTION: The possession or lack thereof, of inherent weaponry is not justifiable cause to deny a sapient being rights, but should inherent weaponry be involved, restraint needs to be learned. Marek AMENDS his logic to satisfy the judge's demands. FACT: Vadimar was created for the purpose of war. FACT: Vadimar has spent his entire life on the frontlines, or in chains. FACT: Vadimar's core programming is that of warrior. ASSUMPTION: Vadimar has never been taught the meaning of restraint. ASSUMPTION: Vadimar is not only equipped with weapons but is, himself, a weapon. ASSUMPTION: Weapons do not deserve nor have a use for freedom. It was now Marek's turn to go on the offensive. "Mr. Safir, you state as a fact that Vadimar was created for the purpose of war, but are you aware of what all is involved with such?" Syrr Safir scoffed. "Hah! I think I see where you wish to go, Kristian Marek. But fine. Let's pretend I am not aware of it. What does that entail?" "Given the complexities involved in a modern war, any learned behavior, organic or otherwise, needs to be able to adapt to the situation at hand. To be able to exercise one's own judgment. To be able to learn and grow. To the court I submit EVIDENCE that Vadimar is capable of just that." Marek presents a bit of conversation with Vadimar, familiar to a select few. "It is true that my original purpose was to be Endursaga's pilot and minder, but I was never unquestioning. I was created with the ability to make my own decisions, to exercise my judgement freely within the bounds of combat. Is it any surprise that I was capable of doing the same outside of those restricted parameters as well?" ...Who confer with each other briefly. Then, all three nod at once. "A valuable and relevant piece of evidence. It will be added to the court records!" The bang of the gavels seals the deal. "J-just where the hell are you going with this? What are you driving at?" Safir managed to rally himself enough to ask those questions. Marek gets a gleam in his eye "Only that the assumption that Vadimar has never been taught restraint must now be amended. Even if it is valid, it is nevertheless true that Vadimar possesses the capability to learn it, should it not be present." "...Tch. Is that what you're looking for? Fine..." muttering something under his breath, Safir corrects himself. ASSUMPTION: Vadimar has never been taught the meaning of restraint, but possesses the capacity to learn it. "Have you concluded your examination of Mr. Safir's logic, Mr. Marek?" The Human Judge asks, after the correction is done. "Only the surface has been scratched, I am afraid. But that one admission should be all that is needed to negate the assumptions that follow it. If it pleases the court, I shall reveal such truth." "I won't break down that easily!" Safir hollers, his composure clearly having taken a hit after Marek's confident words. "C'mon! Do your best! No matter how good your attack is, I'll strike it aside!" Marek renews his stance with a seemingly simple question "Mr. Safir. What is a weapon?". "Hmph. A tool used to inflict harm upon others!" The answer came to his lips readily, restoring his confidence. Clearly he'd prepared himself for at least this much! Marek nods "A textbook definition, for sure. And these tools that inflict harm, do they possess intelligence?" Safir nods. "If it is necessary for their function. From smart-targeting pistols to guided missiles, and even to war machines, many weapons display a degree of necessary intelligence." "But would you agree that even these smart weapons do not pull their own trigger? That they are in some manner reliant upon a more complex intelligence to fulfill their function?" "Very well. What you describe then is a combatitive entity that uses its own judgement in the course of a battle or war, for good or bad. I can think of another label that could be applied to these set of qualities....Soldier." Safir crossed his arms, part of his arrogance returning to him. "...Perhaps. Then let me guess. Are you saying that Vadimar is a soldier, not a weapon then?" "Not quite, for by your own argument, the distinction seems to be academic at best. There is nothing wrong with being a weapon if that is one's choice." "Then what is the purpose of your question? Let's not waste our valuable time pointlessly." "Then I must point out to the court that the prosecution before me has put forth an argument that would, if not removed or altered, deny freedom to those who have chosen to serve their homelands." Marek says the words with a bit of a sharp bite to them, delivering the final nail in his opponent's initial argument. "Removed? Never!" Safir raised his arm, pointing a finger to the heavens. "And you've missed the crucial difference...the difference that separates a weapon from a soldier!" "You yourself were a soldier once, weren't you? Tell me, Kristian Marek! What differentiates a soldier from his weapon?" All eyes were on Marek now. His attack had been turned back on him. Could he right its course? Or would an overreach cause him to lose standing with the judges? Marek refuses to back down, even in the face of this counterattack, no, this was to be expected at some point. He lowers his gaze in contemplation of his past life, and speaks in a more muted tone. "You are correct, I have served, and there is a subtle but crucial difference between a soldier and a weapon. A weapon is expendable, a soldier is not. A weapon exists for the present, a soldier exists for the future." Marek looks up to face Safir directly "There is a time and place where the two can intersect. There is no dishonor in being a weapon, but if one such as Vadimar seeks a new tomorrow, then let us classify him as a Soldier instead. Either way, your argument is invalidated." Safir kept his arms crossed, his expression undisturbed. "There is another major difference, Mr. Marek." His voice was quiet, yet it carried to the ends of the courtroom. "A soldier is born, and chooses to fight for what he must protect. A weapon is made to inflict harm, and has no choice in this matter. It may distinguish who it wishes to harm, but it can, and must, do harm. Your client...he was created as a weapon. And he will always be one, unless you can prove he can abandon his warlike ways." The courtroom fell to silence. Nothing could be heard within it, not a single sound. It wasn't until the Inferian judge began to laugh that the tension in the room changed. "Hah! So this is what it comes down to between the two of you? That's pretty interesting, I can't lie." His voice was like bone scraping metal. "Let's humor this line of thought. One clarification for each of you, but no decisive points made. Looks like this first exchange...is a tie." "Ahem...yes." The Human judge seemed rather surprised at the sudden intervention of his colleague. "I must say the points made so far are sound, but I must agree that they are hardly decisive. It seems the crux of this matter lies in Mr. Marek's client's capacity to control his most warlike impulses. Let us center on that. Mr. Marek, would you like to add anything to your argument pertaining to this matter before we begin the next round of examination?" "My client well knows their nature, and if set free, has, after concluding that war is bad for the galaxy, decided that mercenary work would be a prime consideration." Marek refers back to the evidence submitted prior, a different slice of the conversation. "Hmm...is that so?" Noticing the look on Safir's face, the judge pressed on. "If you could add that fact to your argument, that would simplify things greatly, I believe." "So. Mr. Marek..." Safir dragged the words out, clearly deep in thought. He did not intend to allow the trial to reach Marek's counterattack phase. "You say that your client cannot allow war. Does mercenary work not mandate conflict, however?" "The issue is primarily one of scale. There is a clear distinction between a local conflict and an active campaign against a race." "Precisely. The primary distinction...is one of scale. But in both situations, the will of your client is surrendered to that of the one who has chosen to employ him. Tell me, is this not confirmation that your client lacks the capacity to choose a different, better fate for himself?" No nasty smirk adorned Safir's expression now. He'd dropped his fake bravado, treating Marek as a worthy opponent. Safir offered no answer. Was he preparing some brilliant retort that would burn Marek's argument to cinders? Was he panicking, as he pondered his options to cut his losses and reinforce himself? The minutes passed. People began shuffling uncomfortably in their seats. At last, the human Judge spoke up. "It...seems like that'll be all, Mr. Marek. As there are no further questions, I believe it is your turn to-"
The word, spoken with utmost intensity, thundered across the courtroom. Safir was now glaring at the judge, the look in his eyes so fierce Marek was briefly reminded of Zhirgo Chaka and his burning gaze. "I did not speak until now because I could not believe my opponent's words! Do you realize what you are saying?!" His body shook now, as he tried to restrain himself with visible effort. Marek offers no response, curious to see what has Safir so worked up. "Your lightbending vision...my people's Tyranny Field...it is a quirk of our physiologies. It is part of what we are, but it is not WHO we are. But your client's programming is his personality! Are you truly suggesting that the best way to 'help' him is to cut up his own self and reshape him to be something less burdensome to us?" He slammed his hands upon the podium with such force that the railing cracked. "NO! Even if it would make my job that much simpler, I refuse to accept that! ATTORNEY MAREK! EXPLAIN YOURSELF! NOW!" The last word was shouted loudly, but it paled in comparison to the force emanating from Safir now. Furious, exhausting...it was enough to make Marek feel lightheaded. What was this anger?! There was no murmuring this time. The audience...even the judges...everyone had been reduced to a stunned silence. This moment belonged only to the prosecutor and the plaintiff now. Slowly, the anger that had enveloped Marek like a hurricane of flame receded, while Safir's answer grew ever more delayed. Eventually, however, he crossed his arms, and glared at Marek. "Tch...!" The awed silence from before was replaced by an expectant one. Somehow, in the span of a few minutes, both arguments had been turned on their heads. "I will remind both the prosecutor and the plaintiff..." Soft and graceful, the Audacian Judge's voice somehow did not break the silence, but served as a contrast to heighten it. "...That they are not this decision's final arbiters. This is an exposé of arguments, not a request for final answers." "However..." she continued. "This is a question which may shed much light on this case. Mr. Safir, if you could please give us your answer?" "Don't worry about being prompt with it. This is not an easy problem to unravel. Take as much time as you need. If you are worried about your standing, no points will be deducted." If Syrr Safir had heard her, he did not give any indication of that fact. His eyes were closed, and he was deep in concentration now, lost within himself as he searched for the answer. Time passed. The audience dared not make a sound. The tension should have dissipated, but instead, it just kept rising. Every slight twitch, each movement of a muscle were taken as indications that perhaps the prosecution had finally found its answer. "He can't be allowed to be a mercenary." The words cut like a knife, slicing apart the silence. "I don't know if that robot can be more than a weapon...but that's not something any of us will discover if we allow him to keep going down the same path he's already wandered." Each word came out slowly, the product of a difficult struggle. "Different...he has to do something different, if he is to become a different person himself." At last, Safir opened his eyes - to look straight at Vadimar's image. "The question is, can he? Or is his programming just stronger than him?" "I don't know if he can. But I know one thing: he cannot be allowed to keep his weapons if he's given that chance. The temptation's too large. The risk is too great. If Vadimar is allowed a chance to find a new self, he'll have to undergo disarmament." "WHAT?! PREPOSTEROUS! YOU MAY AS WELL TAKE AWAY MY BODY AND TEAR ME TO PIECES! TAKE BACK THOSE WORDS, YOU MONGREL!" The matchless space ace couldn't contain himself. Even through the holographic projection, everyone could see him, clearly struggling to break free of his chains, such was the extent of his anger. "Your Honours. This is the best solution I can find. And no matter how hard I look, I can see no other." Safir heard him, but ignored him. His gaze, now focused and even, was set upon the judges. "First, determine if Vadimar is capable of living a peaceful, civilian life. If experts in robopsychology judge him to be capable of it, have him undergo a process of disarmament." "Then, for some time, put him to the test, with the help of a minder. Should he succeed at adapting, return his weapons to him. Then, leave him free to roam the galaxy." "That is my solution, Your Honours. That is my final answer." Looks were exchanged between the three judges. Then, they all leaned closer, and began to talk between themselves. It did not seem to be a peaceful discussion. Their expressions were serious, and they seemed to be in the middle of vicious argument. Eventually, all three turned their eyes to Marek. "And you, Mr. Marek? What do you have to say about the proposal made by Mr. Safir?" "REFUSE! REFUSE, KRISTIAN MAREK! DON'T ALLOW THIS MONGREL TO INFLICT SUCH INDIGNITIES ON ME!" Vadimar howled. Through the projector, people could be seen running all around Vadimar, trying to strengthen his failing shackles. Leaning back against a wall in the viewing gallery, Vaz'kar looked content. The robot was about to sink his own case, regardless of Marek's unquestionable skills. Marek hears Vadimar cry out, but likewise ignores him for the moment. "I must confess, the propossed solution is in line with my own thoughts save the issue of disarmament. It would not be an undue burden to remove the most severe armaments, but any being has the right to defend itself and should Vadimar be completely neutered it would reflect negatively on his psyche and the tests to follow. I would propose at least basic armaments be maintained, enough to ensure safety and the capacity to be at peace with his programming as a transitionary position is entered." Marek turns towards the projection of Vadimar "The rest of the plan seems satisfactory to me, but I would not be your defender if I did not consider your needs. Should this compromise be made, would it satisfy you, Vadimar?" Vadimar was still struggling. His entire body was covered in power lines, as he strained himself, even though he was damaged, to the limits of his power. "I...WILL NOT..." he began...and then, a flash of light hit him, and his body slumped, and the projector sputtered out immediately after. "What?!" The human judge cried out in shock, for a moment, before banging his gavel. "Court will now take a recess! Quickly! Send someone out to discover what happened to Mr. Marek's client!" And so, the first day of the trial ended in uncertainty. Two attorneys took to the fray. Neither was defeated. Yet neither one could defeat the other. And what had happened to the client who had been abruptly silenced? Only tomorrow knows all the answers. After the projector sputtered out and recess was declared, Aro rejoined Marek, looking very worried. Through his Hunter contacts, he sent a rookie to the starport, and discovered the Galerían ship had been moved, and everybody who'd tried to check the logs of its transition had been denied access. He also expressed his surprise - though somewhat brief, the encounter between Marek and Safir had been blazingly intense. He couldn't really hide his regret at not being able to see it reach a natural conclusion. Safir himself, for his part, appeared to be just as incensed by the disruption as Marek. He departed the courtroom immediately, muttering something about getting to the bottom of the irregularities. The trial itself had steadily gained audience as its intensity mounted - by the end of the proceedings, over 5% of the population of Ur-Kal had indicated awareness of it. The rumpus at the end, coupled with the 'final answer', served to spark a firestorm of debates about the rights of inorganics, and the place of Wordtech in the new galactic society. Marek's inbox was spammed with messages from reporters, though thanks to the ministrations of Aro and the Hunters, most of the unwanted attentions were diverted away from him. Pursue leads on the location of Vadimar's transport? Accompany Marek back to court the following day? Chase their own agendas and let the squid handle the mess? The trip to the starport was quite brief. There wasn't much of a 'crime scene' to speak of. The ship was simply gone. Not even the records of its departure remained - it could still be pinpointed down to the second thanks to the presence of eyewitnesses, but there wasn't anything resembling a lead to be found there. Told you all to blow up that piece of junk. Now you're gonna have to go through the fuss of finding it again. Know any spots where we could meet up? "You will have to go on to the meeting without me, I am aftaid. I still have to attend the trial, my tentacles are tied. If anything turns up, do let me know." The waiting room was all but empty. Only a few people were milling about, most likely waiting for other cases to begin. All of them looked like lawyers or prosecutors. This was definitely a most unusual situation. Marek couldn't remember ever being called to the courtroom so suddenly. Had any new developments taken place? Marek will look for anyone related to his case who might know what is going on. Near the same corner as yesterday is your counterpart, the prosecutor Safir. Unlike yesterday's outing, he's not in a peaceful state of meditation today. Instead, he's pacing back and forth, muttering something underneath his breath. Marek will approach Safir, glad that he did not elect to do his usual courtroom pacing this time. After discarding various greetings in his head 'oh, i see you were also summoned...' of course he was 'so, robots am i right?' too friendly and weird 'ready for the trial today?' as if anyone could be after yesterday, Marek settles on "Hello Safir, these are unusual circumstances we find ourselves in, no?" Oddly enough, Safir's expression did not harden upon spotting Marek, but softened. "Completely irregular. What are the judges thinking?" He said, giving Marek a brief nod of acknowledgement. "A message in the wee hours of the morning announcing the trial would go on without a client? It's completely unprecedented." "That will surely be the first question addressed, perhaps before the question can even be asked. I was hoping you might have been privy to more information, but it seems we are all in the dark here. Very well, we will just have to wait then..." Unless Safir has anything else to say, Marek will head back to his section and wait for the trial to begin on this second day. "Marek. Wait." The voice comes from behind Marek's back. Safir's expression is studiedly neutral, as he looks at you. "Don't you find this entire trial...unusual?" Marek turns back, a confused look in his eye "This day, certainly, but on the whole? A trial had to happen on the matter eventually. Though I must confess, you are more experienced in these matters than I, what aspect in particular troubles you?" Safir shakes his head. "Too many things. The fact your client disappeared. The moment in which he was taken away, just before the prosecution and the plaintiff could reach an agreement. Don't you think it was overly convenient?" "That is a valid point, yes. There is no trace of the ship either. I've some allies investigating what they can, but it might prove fruitless. What is left to debate? Surely they can not expect us to argue over points already agreed upon?" "Exactly...the only thing left to do is formalize the compromise. But for that, the client's presence is needed either way." Safir gives Marek a hard, but not hateful stare. "I do not plan on losing to you, Kristian Marek - but neither of us should focus so much on achieving a victory here that we overly narrow our scopes. Keep an eye out." With that, he turns around and goes back to sit on his chair. The conversation has concluded. The door to the waiting room opens. "Excuse me! Is this... oh! Kris!" Cadence makes her way into the room and over the Marek, papers(datalinks?) in hand. "You left these behind... I'm not sure if you needed them, but I thought I'd come and make sure." Marek looks over spying Cadence "Ah! What a pleasant surprise! Thank you for bringing those papers to me...although with the state the trial is currently in, I am uncertain what use they will be. You yourself might prove more useful as a character witness to the events leading up to Vadimar's former current state. His disappearance really throws a wrench into the works..."
"What do you think happened to Vadimar anyway? He was getting upset and then... just gone. Why would that happen? What could possibly be gained from kidnapping him like that?" "A few options come to mind. Most logically, it would be some fringe group opposed to the direction the trial was taking. It might just be a group opposed to robots in general using this trial as another excuse to further their agenda. One can't eliminate the possibility that it was done by Jann attempting to reclaim what they consider their property, either. Until we know more, it is all just wild speculation at this stage. We can only ask who stands to gain most by such activities." "I feel so bad for Vadimar. He was made to be a weapon... and even though he's sentient, that's who he is. He can't give up his whole identity like that." "That is not entirely true...people change all the time. But it is true that he will have to make adjustments as his nature is gradually shifted towards something the galaxy can permit. How hard that path is will depend on the power of his will." "I was looking up what I could on people and violence though... there are some many people who make their living entirely off of fighting or killing. Did you know that there is even an arena nearby here where people just fight to the death? It's insane! And yet Vadimar wanting to keep his weapons is good enough reason to break him into scrap? I just don't understand." "An arena might be too small to contain the thirst of Vadimar's core programming. I fear that it might have a cascading effect should Vadimar prove unable to properly control his impulses. I suspect he is stronger willed than the galaxy gives him credit for, but the word of one voice can only reach so far. Once a proper evaluation of his mental state is performed, it will likely be easier to recommend certain career paths such as what you describe." "So the best option is to find Vadimar, get the judges to allow robot-mind-readers to see if he is safe to send out, then let him try careers until he finds one that fits him and sticks with that? I assume he hasn't gotten a chance to try out a lot more than killing things so far..."
"The exact process will likely be much more detailed and lengthy than that, there are a great many people with a great many fears to leave anything to chance. But, in general, yes. After a long enough period of scrutiny, Vadimar should be free to choose his own path just like any other member of society." "Ok. I suppose I should wait in here for the trial again. I feel bad leaving you out there alone, though." "Don't worry, Cadence, I was able to pull through, and you are here now. Whatever comes next, your support means a lot to me." Cadence will respond simply by smiling. She then makes her way over to the prosecution. "Excuse me, Mr. Safir? I just wanted to come over and wish you luck with the trial." She gives him a slight bow. Safir's eyes narrow for a moment. "You're that girl who was watching the trial yesterday, aren't you...I thought you were on the Luminian's side." "I'm with Kris, yes. But I think everyone deserves to do their best, especially at the job they love." Safir sighs. "That...is very kind of you, miss." Mustering up some hidden politesse. "It is appreciated. Good luck to you too, in whatever path you choose to follow." Cadence returns to Marek. "I suppose now we just wait for the trial to begin, right? Or are we supposed to tell them we're ready?" Just then, the light above the doorway to the courtroom lights up. It's time to resume the trial! "Ah, there is the signal. Perhaps now we will get some answers." Marek guides Cadence along with him to the courtroom interior proper. The courtroom is devoid of people, save Safir, you and the judges...who each bear a different expression on their faces. The human judge looks perplexed, the Inferian judge is fuming, and the Audacian's judge expression is stony at best. Cadence apprehensively goes along with Marek, surprised at the emptiness of the courtroom. "Seems like everybody's here...A-Ahem." The Human Judge says, as Marek and Cadence take up their spots. "We received a message from the prosecution telling us that they had a very important announcement to make. Mr. Safir, if you'd share it with us?" Safir crosses his arms and tilts his head. "An announcement? No, Your Honours, I have nothing to say at the moment. Mr. Marek's client has yet to be found, hasn't he?" "If this is your idea of a practical joke, prosecutor, we will have words," the Inferian judge says, clearly unhappy to be here at such an early hour. Safir, for his part, merely shakes his head, reaffirming his previous words. "Hmm... don't you think that's odd Kris? The prosecution said they had an announcement, but Mr. Safir appears to have no idea." "Very odd...too odd." Marek raises his voice for the court at large "We seem to be the recipients of a cruel jest...to what end is a mystery, one justice can ill afford. I propose we take cooperative actions to sort out who would have arranged this and to what end." "The only jest I see here is your cluelessness, attorney!" A powerful voice boomed from the entrance. "How someone as unworthy as you was allowed to enter this hallowed ground I'll never know. But I, personally, will see to it that you are exiled from this place!" Standing at the door...there was something Marek was not expecting to see. 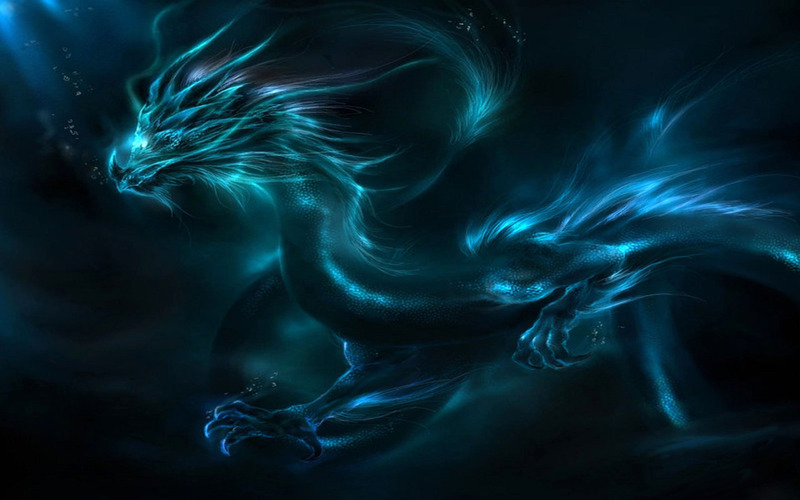 Long and coiling, eyes blazing with power and authority...there was a dragon. All together, the three judges gasped. "Prosecutor Amarth? What are you doing here?" "What I was born to do, my esteemed colleagues." The dragon said, rising up into the air in lazy spirals. The entire courtroom was covered thrice over by his length. He was thin, for a dragon, yet his whiskered face looked so regal and magnificent, and his scales shone so brightly in the light, that he could not help but impress. Slowly, he descended until coming to a stop beside the prosecutor's podium - though his body still kept coiling upon itself. "Protect the integrity of nations. Uphold law's ideal. But most of all...to gaze upon the profession of attorney...and cull all those unworthy of it!" His voice naturally rose as he spoke, his last few words accompanied by a crash of thunder. "This includes you, boy," he said, giving Safir a disdainful look. "The Galerían state has found you...unworthy. LEAVE THIS ROOM AT ONCE!" He said, turning to roar at him. "You have been replaced." "What?! PREPOSTEROUS!" Safir said, clearly shocked by the arrival of the new prosecutor, yet unwilling to give up his place. "This case is almost concluded! A satisfactory compromise, born of reasoning and logic, has almost been reached!" "So you think...but you are mistaken. Your 'compromise' would have shamed the Solarian nation! You would have consented to having its property stolen! But I will not abide by it! I will crush this cheeky attorney, and bring that little tin soldier back where he belongs!" "This...is highly unprecedented, Mr. Amarth. Are you certain the Prosecutor General has authorized this?" The human judge asked, befuddled. Cadence looks visibly upset. "Kris, I don't like the sound of this. This new prosecutor does not seem nearly as friendly as Mr. Safir." (you know what...eff this dragon.) Marek nods to Cadence and before the proceedings can continue, does what his heart commands him to do. "OBJECTION!" "Where Vadimar goes is for him to determine. He is his own being, separate from any who would seek to control him!" Amarth chuckled, the sound like a rumbling of distant thunder. "He speaks! I was wondering if the little invertebrate was about to let me run him out of court without a word!" He glided forward gracefully, and moments later he was staring at Marek, face to face, separated only by the podium's feeble wooden construction. "Tell me, little attorney...what do you know of sovereign rights?" Contempt oozed from his every word. Cadence cowers behind Marek. Timidly, she whispers to him "I-Isn't it against the law for him to be over here?" "FOOLISH GIRL!" The dragon roared, singing the podium with lightning arcs. "Your impertinence will NOT be tolerated. You WILL be silent, or I shall have you escorted out of this room!" Cadence eeps and hides further behind Marek. If there was one thing Marek was well suited for, it was staredowns. He wasn't about to let even the commanding presence of a dragon such as this get to him. "If soverign rights were all it took, it is doubtful this court would have even held this trial. Now kindly stop terrorizing my assistant and present your case through proper procedure. Or are scare tactics all you are good for?" "Ha. Hah. Hahahahaha!" His laughter was uncontainable, uproarious, immense. "You've got guts, little squid. I will be glad to destroy you through proper means of court...but not yet. This was just...an introduction. I would be a poor sport, if I did not inform you of the challenge you are about to face...so you could forfeit this trial appropriately." Returning back to the prosecution's podium, where Safir still stood, Amarth offered the judges a bow. "The prosecution has shared its announcement with the court...Your Honours. I see no reason to linger here any longer. I will see you again tonight at the trial's appointed hour." And without another word, he turned towards the exit, and glided out of the courtroom. "... Is that it? We're just... done?" "Nonsense, we'll only be done if the judges declair against Vadimar tomorrow. I'm forced to admit, the road ahead feels a bit more rocky than before, but if the prosecution could see eye to eye with us before, we can get them to do so again. But first, we really should locate Vadimar and strengthen our position if we can..." Marek trails off, trying to think of anything that might help his position. Suddenly, a small card embedded itself against the wood between Marek and Cadence. As they turned around, they saw Safir, storming out of the room, his body shaking with barely contained anger. Cadence grabs the card and looks at it. This is an abomination! What we just saw is not due process, Kristian Marek, it is absence of justice! This is the courtroom data on Meskalamdug Amarth. Stall him! Stall him at all costs! Even if victory is impossible tonight, find a way to delay him, until the wheel of inevitability turns! Hastily scribbled at the bottom right corner and appended to the card was a datalink address. Marek and Cadence stop at a cafe to eat and plan, Marek wins monies, Cadence gets a pet. The rest of the party wrestle and go on a secret mission. The hour of confrontation fast approaches. Today, Kristian Marek (and his lovely assistant, Cadence) are scheduled to face off against terrifying draconian prosecutor, Meskalamdug Amarth. In contrast to Marek's last two visits, this time the waiting room is absolutely PACKED with people - all murmuring to each other about the events of the trial last night. Indeed, on the way there, the pair was briefly waylaid by a swarm of intrepid reporters, intent on getting an interview. Fortunately, court security was present to help Marek and Cadence disentangle themselves from the reporter morass and enter the court building. "Well, the atmosphere here has certainly shifted. It will not change what needs to be done, but perhaps it is best if we do not linger here longer than required..."
"So Kris, what's our plan? It feels like it's been so long since the last trial that I have no idea what this one will hold." "The records are always reviewable, it would be a good idea to go over them to see if any key points can be found, if you would prefer to do that rather than stare at our draconian adversary. Beyond that, our research and pursuit of justice will have to be what sees us through this day." It is at this point that the light above the courtroom entrance flares up. At once, almost the entire waiting room stands up. The murmuring reaches a fever pitch as everybody heads inside. "Alright... I think I'm ready." Cadence's expression sets in fierce determination. "Let's do this. For Vadimar." "For Vadimar" Marek puts forth as much resolve as he can summon up, a quick glance at his badge all that is needed to remind him of his purpose. Everybody was already seated inside by the time the pair came in - seated, and in absolute silent. The judges greeted Marek and his assistant with an expressionless look on their face. Once Marek and Cadence reached their stand and settled themselves in, the judges nodded together. Yet...nothing happened for several minutes, and the crowd began to grow restless. At last, the Inferian judge spoke up. "Damnable prosecutor! Just how long does he intend to keep us waiting?" And indeed, the prosecution's stand was empty. "This is not the behavior I would expect from Amarth...perhaps something has occurred? Whatever the case, it would not be ideal to award victory in a trial like this just for punctuality." "Worry not, Your Honours. I was merely saving the best for last, as it were." The great prosecutor's form snaked into the room, magnificent as always, before settling above his stand. "I am here now." A cruel smile bared his teeth, as he stared at the defense's bench. "At last," the human judge said, curtly. "Let us get this trial underway, then. I assume the plantiff's lawyer is ready?" "And the prosecution is ready, of course. Shall we begin?" Three gavels banged together. "Court is officially in session!" "Let us cut right to the chase, then. Mr. Marek, if you could restate your case?" The Audacian judge asked, her keen eyes focused on the pair. "My case remains unchanged. Vadimar is a sapient being to be afforded all the rights that go along with such, but in consideration of his unique circumstances, it has been established that a period of psychological validation would best ease the galactic mind. With a jarring change in prosecution, this arrangement has been temporarily cast aside, replaced by whatever arguments my opponent here cares to waste the court's time with." "So that is your argument..." Amarth said, his powerful voice surprisingly subdued. "Tell me, where could your so-called client be found, before he was transported here?" "A place that was not here. I could ask the same of you and this court, 'where were you before this trial started today?'. But doing so would not hold much meaning now, for the trial has begun and there are more important considerations to be made than dwelling on an unpleasant past." "Your Honours," Amarth responded, in that same dangerously subdued tone. "I request that the plaintiff's lawyer be asked to not stall for time and answer honestly. If I must coax answers out of him the hard way, this will be a truly dreadful trial." The human judge sighed. "Yes, I can see that. Mr. Marek, if you could please answer Mr. Amarth's queries, it would be highly appreciated." "If the prosecution insists on bringing up points previously established, so be it. My client was formerly located in a secret government base located on Galeria. Before that, he was held by the Jann." "Thank you, Mr. Marek." Amarth straightened himself slightly (by raising his head a full meter higher). "Your Honours, this case is quite simple. Vadimar is under the jurisdiction of the Solarian government. He belongs with it. At no point did this maverick follow due process, nor consult Solarian law before presenting this case to the court. Tonight, the Prosecution will demonstrate the absolute faultiness of his case, and bring a conclusion to this trial." "I see..." the human judge said. "Very well. Let us begin. Mr. Marek, present your defense, please." FACT: I was in contact with the Solarian government for the entirety of my time on Galeria. FACT: The government vested me and a fellow group authority to deal with matters that directly concerned their citizens. ASSUMPTION: Vadimar is something that directly concerns their citizens. ASSUMPTION: I was given authority to deal with Vadimar. Amarth's smile reappears as he ponders Marek's argument. "So, Mr. Marek..." He drawls, extending the vowels. "How would you describe the situation for which you were conscripted? What type of situation was this?" "Complex. On the surface, it was a simple matter of stopping a mind control drug from spiraling out of control, but underneath lay a plot with political and galactic ramifications." "A plot with galactic ramifications..." Amarth says, seeming genuinely thoughtful. "Please, do go on." "The full extent of the events that transpired have likely not been felt yet, nor can I say for certain that such a plot is not still going on. But anything involving wordtech is, by default, on a galactic level." "And these events for which you were conscripted...they were of a hectic nature, I believe. Police and military actions, I take?" Cadence at this point speaks up. "Could the prosecution please stop stalling for time and get to the point already?" Instantly, all of Amarth's politeness disappeared, and a crushingly strong aura began to emanate from him, forcing Cadence to take a step back. "Mr. Marek. If your...assistant cannot observe proper court procedure, she will be able to count herself lucky if all that befalls her is an eviction from court. I will conduct this examination as I see fit, presenting a thought process that both the judges and the audience can easily understand. Am I clearly understood?" The air crackled with static, as he fixed her with a death glare. Forced to admit that there is a proper procedure to things, and that logical flow is important for either side of the court, Marek will advise Cadence against random outbursts "It would not set a good precedent, particularly when it comes our time to establish a chain of logic." In reply to the question asked of Marek "There was some combat involved, as tends to happen when competing forces cause friction against one another." "You were given authority to kill or capture as you saw fit. However, reason would suggest that the scope of your authority would be limited to the situation at hand, would it not? Managing your client's finances, if he had any, or making decisions on his place of residence would be beyond your authority." "If, in the process of exercising authority, a situation is uncovered which reveals there is more to the authority granter than initially suspected, it is only natural to appeal to a higher authority, in this case a galactic court." "Yes, naturally that would be the case..."
And then, Amarth's eyes flattened. "If you had the appropriate authority to begin with." "YOUR HONOURS!" Amarth's voice thundered now, as it had when Marek and Cadence had first met him. "It is possible that this Vadimar robot may be considered a sapient being. Perhaps it is so, and I care not about such a trivial matter. But even if he could be considered such, he is still the responsibility of the Solarian government. If he is not sapient, then he is a possession of the Solarians. If he is, then he is their charge - and the Solarian government is the one who must make decisions for him, as the sanity of a killing machine is absolutely questionable! ALLOW THE PROSECUTION TO PRESENT EVIDENCE OF THIS FACT!" The holorecorder played a clip. Marek recognized it in an instant. It was from the last minute rumpus at the end of yesterday's trial! His own holo-recorded self repeated his own words back at him. "WHAT?! PREPOSTEROUS! YOU MAY AS WELL TAKE AWAY MY BODY AND TEAR ME TO PIECES! TAKE BACK THOSE WORDS, YOU MONGREL!" "THE EVIDENCE IS INCONTROVERTIBLE!" Meskalamdug Amarth bellowed. "The defense's client presents an unhealthy fascination with weaponry and killing! He is mentally ill, and cannot, SHOULD NOT be permitted to request his emancipation! It is the Solarian government, and only the Solarian government, who is fit to determine his mental state sane and request such a thing from the galactic court!" The audience broke into loud murmurs. The frightening prosecutor's argument had been slowly, painstakingly prepared by his questions. It seemed to make perfect sense: Why would a killing machine ever be judged sane enough to define its own fate? Shouldn't its tutors first determine his sanity, before granting him such freedoms? Cadence's usually small voice rings out louder than normal. "I am no fan of violence. I prefer to solve problems through words rather than fighting. But I understand the search for one's drive, for one's being. You would not ask someone who has dedicated their life to cooking to give up the grill. You would not ask someone who has dedicated their life to writing to give up the pen." Her eyes narrow. "You would not ask someone who has dedicated their life to upholding the law to give up their badge. There are plenty of people who devote their life to fighting. There are craftsmen who focus on making weaponry. I mean... there's an arena dedicated to fighting just a short way away from here! You can't possibly assert that fascination with fighting is a problem when blood sport is legal in this very place!" Cadence crosses her arms. "Mister Amarth, your argument has adjusted to where you assert that Vadimar may indeed be considered to be his own person. If so, then why can he not choose to fight just as so many other sapients do? Or is it really that necessary for the people who have broken galactic law to be allowed to continue to do so?" "HAH!" The prosecutor's laughter rang out, derisively. "Really. Is this all you have to add, little girl? Perhaps you should go play with your dolls instead. But why not? I am in a good mood today. Allow me to indulge you." Amarth rose up into the air, towering above everybody else as he stared down. "There is nothing wrong with being a fighter, yes. This much is true. There is something wrong, however, with an unhealthy fascination for murder. This robot...he has been introduced to you as Vadimar, the Matchless Space Ace. But during the War of Remembrance, he was known by another moniker! Vadimar, the Ace of Slaughter!" "I took the liberty of procuring a record of an old skirmish for the benefit of the court. Your Honours, take a look, and tell me if you think these are the actions of a sound mind." Another holo-recording began to play. This time, one Marek was unfamiliar with. Shot from the view of a scout ship, it displayed a fleet of ships traveling through space. Endursaga, the massive machine Vadimar had such a keen interest in protecting, traveled with them. The recording skipped forward at this point - to a scene of war. The fleet was engaged in space combat with another group of battleships, lasers and missiles flying back and forth as ships exploded in the endless night of space. Then, a voice rang out. "Fools! You made a terrible mistake to challenge us!" At once, a massive laser burst sliced through the enemy fleet, cuting several of its ships apart, while Endursaga approached, its weapons firing at full speed, while Vadimar continued to taunt them. "Worthless! Feeble! WEAK! DIE AS YOU LIVED, AS WRETCHED, PATHETIC FOOLS!" A ship was seized between Endursaga's hands and snapped in half, like it was nothing more than a twig. Several others were pierced by massive rail cannons. A flood of missiles caught several large battleships, creating such a massive set of explosions even allied ships were caught in the crossfire "I AM INVINCIBLE! I AM UNSTOPPABLE! REMEMBER IN YOUR FINAL MOMENTS THE NAME OF THE MATCHLESS SPACE ACE! HAHAHAHAHAHA!" A laser struck the scout ship, causing the recording to finish abruptly, with a distorted hiss of static. "The recording of the so-called Matchless Space Ace's first battle speaks for itself, I believe." Amarth said, sounding bored. "Does the defense have any counterarguments to make, or would it instead prefer to just forfeit this case?" Cadence turns to Marek. "Kris... is Vadimar on trial for murder?" Several shocked gasps had escaped the audience's lips as they watched the recording. The horror was clear in their faces after its conclusion. "No, and a mental state such as that depicted here was hardly unique to Vadimar in that time period." Cadence continues speaking to Marek, but loud enough to be heard by others in the courtroom. "If they want to put Vadimar on trial for war crimes, then I have no objections. But this trial is not about that... it's about his freedom. He is not a possession... if he is mentally ill, as Mr. Amarth puts it, then that still is not grounds for him to belong to anyone. And even so, there is no group least deserving of having Vadimar in possession than a government who broke galactic law with their possession of Vadimar. The very galactic law that was written to prevent scenes like the one Mr. Amarth just showed us from ever happening again." Cadence smiles as she realizes the culmination of her though process. "It was so very nice of Mr. Amarth to show us why Vadimar should not be in the possession of a government who seeks to study his combat capabilities." Despite speaking with conviction, Cadence can't stop the tears building in her eyes from watching the carnage wrought by Vadimar and Endursaga in the holovid. "Said government acquired Vadimar by containing him," Amarth explained, condescendingly. "That makes them uniquely qualified to function as caretakers. We would not want a homicidal maniac to roam freely, now would we? I assume you are unaware, so let me enlighten you: the mentally ill do not have rights of free transit. They are provided with facilities where they may live the rest of their lives in peace, without harming anyone. And indeed, the base where Vadimar was located before being brought to Ur-Kal was just that: an asylum." "OBJECTION!" Marek's composure remained unruffled at Amarth's statement. "If my client were insane, Mr. Amarth, you might conceivably have had a valid point, but I maintain that my client has been of sound mind the entirety of the time I have known him. Your evidence dating from the war is not enough to establish a current profile. In other words, it is taken out of context. The mindset of a person enthralled in a war and determined to eliminate the enemy can seem insane viewed from a time of peace, but in the context of the war surrounding them, they are just one of many voices crying out. I am confidant that many similar outbursts can be found on record by men later deemed sane in a post-war setting." "Ah, but we do have context for your client's mental state, Mr. Marek. While you and the previous prosecutor were busy reaching an agreement on how best to reintegrate him into society, he protested your ministrations when asked to disarm himself...rather violently, at that. That killing mindset is so ingrained into him that he cannot abandon it! It is apparent to the naked eye." "We have, at best, a few statements and actions. Until Vadimar is found, it would be wrong to presume based on incomplete data. The argument is not that Vadimar is a perfect thinking machine, just that he is a thinking machine. If it turns out that his actions were based on faulty assumptions, then it would just demonstrate a nature more in line with us than otherwise." Meskalamdug Amarth chuckled. "There is a degree of faultiness which cannot be tolerated, however." Leaning back, he stared at Marek and Cadence, smugly. "Mr. Marek, the prosecution has provided evidence as to the lack of soundness of your client's mindset, and his unwillingness to compromise on his capacity for violence, then and now. The onus is no longer on me to demonstrate his insanity. It is you who must prove that his twisted mind will not lead him to take actions that will cause untold havoc." His mouth broke into a wide grin. "And that is something you cannot do. There is no evidence in your favor here." "Proof? You want proof? The evidence is all around you. The fact that this trial exists at all is a statement to there being at least some part of Vadimar's mind willing to partake in civility. And if that part does not seek to lash out, perhaps other parts are similar. Regardless, we will get nowhere on this front without the key participant here to offer a proper counterargument. My client is sane, but I can not prove this with just my words alone." And with that, Marek comes as close as he is willing to in admitting his opposition is right. The evidence is not present...yet. "It is very simple, Your Honours." He responded, undeterred. "We have now established Vadimar's sanity remains unproven. However, there have been tests conducted on his mental state. These tests were not handed over to Mr. Marek...because he never thought to request them. Surely if he had been chosen by the Solarian government to handle the matter of Vadimar, he would have thought to avail himself of their resources, hmm?" He paused for a moment, letting everyone process his words. "Thus, we reach an obvious endpoint to this reasoning. Mr. Marek's assumption about his authority...is...faulty." Indolently, Amarth crossed his two front paws, as humanoids would cross their arms. "Care to contest this, Mr. Marek?" "If I were to call into question the sanity of every person I meet based on introduction alone, I might have requested such tests be performed on you, Mr. Amarth, for your rather...questionable...entrance in court the other day. No, I am afraid that you mistake a lack of thought with a presence of faith in my client's ability to reason. In point of fact, the existence of the research base of the Solarians already biased them against my client such that I would scrutinize any report they put out on the matter. If it is a mental survey you demand, I would counterdemand that a neutral party conduct it. Until such time, I can not and will not permit my client to be falsely accused." "If that is your wish, then it can be easily granted," Amarth said, giving the argument a dismissive wave of his claws. "So long as you recant your assumption, that is. You've admitted yourself that you stand at odds with the Solarian government. Thus you cannot be said to be acting as a representative of their authority in any capacity any longer." "It is precisely by acting as a representative that I can stand at odds with the Solarian government. Were I an outside agent, any claim made against the government could be spun in any number of negative ways and promptly dismissed. But in so giving me authority, there can be no silencing my words when something as corrupt as this is uncovered. If it would please the court, I can amend my logic to clear up this seeming contradiction." "If you would, Mr. Marek." The Human judge said, nodding. ASSUMPTION: If a faction within the government is discovered which acts against the best interests of the entire government and/or its constituents, it is not a contradiction for a person with authority to challenge this faction and their claims of authority. FACT: A faction within the government was discovered which acted against the best interests of the entire government and/or its constituents. "My, a little eager, aren't we?" Amarth said, as he placidly raised a hand. "You are awfully quick to suggest new facts, little attorney. Can you provide evidence to make that more than a halfbaked assumption?" Without missing a beat, Marek will put forward visual recordings of the party's time at the base, with emphasis placed on information regarding the research done on Vadimar and Endursaga. "Not even you can deny that the base existed, Amarth. Its purpose was clear, and highly illegal. It should be no great leap to conclude that a government engaging in illegal activities is not a government acting in the interests of its people. Thus, Solarian authority in this matter is to be challenged." Wide murmuring broke out across the courtroom, even amongst the judges, who huddled together to confer about this matter. After a moment, the Audacian judge separated from her peers and spoke up. "Mr. Marek, are you absolutely certain about these claims? An illegal research facility dedicated to the investigation of relics from the War of Remembrance is a very serious breach of galactic etiquette indeed." "Your honors, it is not as Mr. Amarth has said. This facility was not an asylum in any sense of the word. Vadimar and Endursaga were not kept there for their safety. They were kept there to be lab specimens." Marek nods along with Cadence's words "It was not just I that was present there, Cadence here was among those of us who investigated. Yes, in as far as it is possible to be with the evidence we found there, I am convinced the facility was dedicated to renewed research of relics of the War of Remembrance." "This..." the human judge began, but was forced to draw a deep breath as he measured his words carefully. "This is a matter of utmost galactic importance. For all the cases I have reviewed throughout my career, I fear I may be underqualified for this task." The Audacian judge nodded, and even the Inferian answered his words with a wordless affirmation of his own, his face grim. "It has been a very long time since the last major infraction of the galactic treaties..."
"...Yet I am afraid this does not matter in this moment." Meskalamdug Amarth had been the only person to remain silent and unmoved by these revelations. His face had retained a mask of stoic severity, not betraying any hints of anger nor anxiety. "The research conducted at Basomundo base was of questionable legality. Perhaps it was justified. Perhaps it was not. This will be for another trial to decide. We are here to discuss the matter of Vadimar's emancipation, are we not? Then let us focus on that and avoid pointless tangents. MISTER MAREK!" He said, suddenly raising his voice to a deafening roar that brought the courtroom to silence. "This is your evidence to prove the existence of a shadowy faction acting within the Solarian government! And yet, it is flimsier than wet paper! It is highly possible that the Solarian high command was in fact aware of this research and had chosen to endorse it. You have succeeded in proving the existence of this research, but not its origin, which is what needed to be proven." Suddenly, Amarth slammed his claws against the prosecutor's podium, causing the wood to develop a network of cracks. "THIS IS A PATHETIC DISPLAY! YOUR FACT IS A SHAM! YOUR HONOURS, I DEMAND A PENALTY FOR EGREGIOUS LOGICAL FAILURE!" Silence filled the courtroom in the prosecutor's wake. At this point, Cadence just assumes she'll never understand law. The human judge sighed. "...I am afraid Mr. Amarth is correct. Mr. Marek, you were hasty in proclaiming unproved assertion as fact. In the absence of immediately relevant evidence, I am afraid we will have no choice but to issue a penalty. The prosecution is allowed to strike the proclaimed fact from record, and may force an amendment of another assumption within reasonable limits." "Ha." A deep, rumbling laughter began to spread across the room, followed by a wake of rumours. "Ha, ha, ha, ha, HA HA HA HA HA HA HA!" Amarth celebrated, laughing madly. "YOU'RE MINE NOW, KRISTIAN MAREK! SOON I WILL TEAR YOUR CASE TO PIECES!" ASSUMPTION: I was given authority to deal with Vadimar, within the limits of Solarian law. (DELETED) FACT: A faction within the government was discovered which acted against the best interests of the entire government and/or its constituents. "Yes...I believe this will suffice." 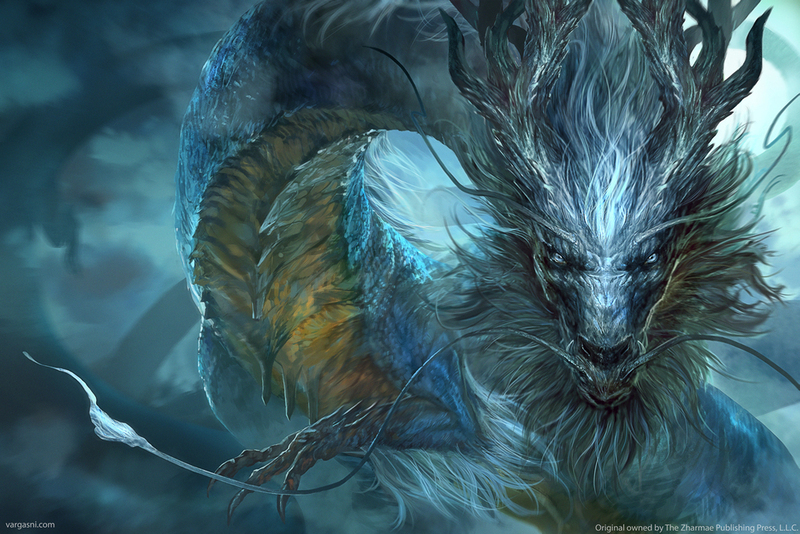 Glee was still apparent in the great dragon's voice as he finished amending the assumption. "Your honours, I believe we can conclude this first round of questioning. The plaintiff's attorney is free to question my own case...if he dares." "So? What's it going to be?" The Inferian judge asked, his stare piercing enough to bore holes in the podium as he addressed Marek and Cadence. Marek pauses a moment, closing his eyes in momentary thought before suddenly opening them again, still plenty determined to see this case through despite an inevitable setback or two. "Your honors, my position is unshaken. The efforts of Mr. Amarth will not break me and the truth will be made clear. I am ready to proceed." The Audacian judge nodded. "Very well then. Mr. Amarth, please present your case to the court." FACT: Vadimar is under the jurisdiction of the Solarian Government. FACT: No Solarian jurist nor lawman was consulted about this case before bringing it to the galactic court, in an attempt to seek a mutually agreeable resolution for this matter. FACT: Vadimar's soundness of mind remains unproven. He cannot be considered neither sane nor insane at this point in time. ASSUMPTION: This entire trial is lacking in due process. chiefly through the efforts, or lack thereof, of the plaintiff's attorney. Because of this, the case should be dismissed and thrown out of court. "Quite the succint argument, Mr. Amarth..." the human judge remarked, his expression rather resembling stone. "A second-grade attorney is not worthy of my full talents and attention. If he wishes to question my case, then perhaps he should conduct himself as though he belongs in court first." Amarth retorted as he crossed his claws again, an insolent smirk on his face. Cadence turns to Marek. "The Galerian government's actions with Vadimar are certainly illegal in galactic law. Does that in any way invalidate his statements concerning Galerian involvement with this case? And why is Vadimar under their jurisdiction anyway?" "Those are good questions, Cadence. We will have to poke at his case so that he is forced to answer them. Force him to give ground. I have a feeling it will not be that easy..." Marek trails off, spinning his opponent's logic around in his mind, searching for additional avenues of approach that might offer a path to victory, or at least one not plummeting towards defeat. "For clarification's sake... can we get a statement on why Vadimar is under the jurisdiction of the Dalla-Nu government?" "Of course. During a war skirmish, Vadimar sustained heavy damage. The Dalla-Nu salvaged him and repaired him and his charge. You could say he owes his life to them, even!" Amarth explains, making a magnanimous gesture. "You'll have to forgive me, for the datalinks have been notably thin concerning the War of Remembrance..." Cadence shudders at the thought of the conflict, "... But I do not recall reading that the Amala and Dalla-Nu were fighting each other. If Vadimar is not to be considered a spoil of war, earned by success of the Dalla-Nu over the Amala, then why does Vadimar not belong with his original so-called 'owners'?" "I'll answer this one." The brusque Inferian judge intervened. "Galactic Accords, Section 7, subsection 84.b. 'The production of new weapons of galactic destruction is to be immediately discontinued. Preexisting stocks may be preserved, however, and lost war technology may be retrieved and stored by whatever nation finds it'. In other words...finders, keepers. If all the Solarians did was salvage him, they can't be found at fault." "Thank you, your honor. And may I ask, concerning the galactic law, what is the penalty if a nation were to break intergalactic law and engage in illegal study on Wordtech?" "That would vary depending on the severity of the crime. But in general, economic sanctions would be put in place, and some portion of their Wordtech storages would be released from their care and destroyed as a punishment. This is more a matter for the Grand Galactic Gathering to rule on, though." "What thoughts are you having on this, Kris?" "This line of thought does not seem like it will overturn the presented fact of solarian jurisdiction, but the facts revealed in this line of inquiry might be useful elsewhere." "It might even be the case that limiting Vadimar to solarian law might work in our favor, it would just be a matter of finding the relevant statutes...in fact..." Marek has a small spark of an idea, but would need to consult solarian law to confirm if it would even hold legal water. "Your honors, I would like to request a small recess to consider the facts presented before me." "Hmm...this has been a long trial, all things considered." The human judge said, pensively. Him and his colleagues spoke briefly, and then banged their gavels. "Very well. The court will take a fifteen minute recess, after which we will hear the prosecution's defense of their case!" The waiting room was abuzz with activity as Cadence and Marek stepped in through a side door. Fortunately, nobody recognized them - giving them a few solid minutes of much-needed time to think. "So why did you want to take a recess? You said something about looking up Galerian law?" "That is correct, Cadence. We need to quickly look up laws dealing with solarian recovery from damaged states, in particular any rulings regarding the mental state and identity of the renewed individual." As Marek mentions this, he looks around for somewhere quiet, perhaps an unoccupied side room or alcove. While it was not strictly necessary, moving away from potentially prying eyes would make the investigation go a lot smoother. "How does solarian law treat individuals in terms of identity and mental state after their 'death' and regeneration"
Marek's search quickly turned up what he was looking for. Under Solarian law, in the instance of a major personality shift after grievous injury and regeneration, the new individual borne from the trauma is considered to be the same as the previous person. Thus, all financial obligations, job standings and so on transfer to the new person - though trial periods to determine the capacity of the new person to handle the old debts, jobs and the like are practically universally accepted. "Kris, I'm curious... does the same law apply to non-Dalla-Nu who go through serious injuries that affect their mental state?" "Vadimar was worked on by Solarians, who are well known to be adept engineers. Complete restoration based on incomplete data would be all but impossible even for them, so they would have to improvise in places, and that improvisation would through natural bias be of Solarian design. So it is not unreasonable to claim that some part of Vadimar is Solarian, even if it might not consciously be registered as such by Vadimar himself." "Alright... have you looked up everything you need to?" "Why do you think Mr. Amarth made his assumption about throwing the case out, and no due process? I don't know what that means, but it sounds like he is ignoring the actual facts of the case to try to win through other means." "That just means he is underestimating our ability to sufficiently uncover the facts then. What we have here is at the very least a start. If we can work within Solarian law, it could open up a path that might shed a new light on this case." Perhaps lacking a quick and easy solution, Marek still trusted that what they had uncovered would serve them well. Their allotted time drawing to a close, it would soon be time to resume their court battle. The recess concluded. Gradually, everybody returned to the courtroom and their seats. The bang of three gavels set everyone on edge. "With this, we conclude the recess requested by the plaintiff's attorney. Mr. Marek, are you ready to begin your examination of Mr. Amarth's case?" "Very well then. Let's begin." "Alright Kris... let's do this." "Very well, let us dive into the heart of the matter. Mr. Amarth, for the benefit of all present in the courtroom, could you explain what you mean when you say that Vadimar is under Solarian jurisdiction?" "But of course. As Solarian property...or a citizen, as you prefer, Vadimar is to be tried according to the laws of the Solarians. Something that has yet to happen, of course..." He said, giving Marek a malicious, toothy grin. "Perhaps it is time that changes then. If we operate strickly within Solarian law...there are a number of considerations due regarding Vadimar. Having recovered from a serious injury, he is legally the same person. However, details from his old life are carried over." "Hmm? Perhaps you should elaborate for the benefit of the court", Amarth said, sounding distinctly amused. "'Legally' the same person? He is the same robot, in every way." "Then, under Solarian law and by the prosecution's own admission, Vadimar is to be declared a Jann soldier with all that such implies." This time, Amarth's curiosity was distinctly piqued. Crossing his claws, he leaned forward to study Marek more intently. "Do elaborate on that, Mr. Marek. How exactly is this line of thought related to Vadimar being won over salvage?" "To put it another way, the Solarian government has been keeping a Jann soldier held against their wishes as at best a prisoner of war, at worst a nonentity. I am curious how the Jann government feels about this imprisonment. Viewed in this manner, and this is speculation on my part, we might risk an intergalactic incident if this trial is kept too restricted to a purely Solarian mindset." "Preposterous! You would escalate this trial further by involving another government in this dispute? That is unacceptable!" Amarth was clearly flabbergasted by the tack Marek's questioning had taken. The idea of adding in a third party the affair seemed out of this world to him - and the same went for the crowd, who began chattering so loudly the judges were forced to bang their gavels to request silence. "Mr. Marek, is this your wish? As you know, Mr. Amarth is acting as a representative of the Solarian people in this case, and thus not impartial enough to act in the place of the Jann." The Audacian judge asked him. Amarth tried to intervene, but she simply turned and fixed him with a freezing glance - so freezing, that part of his desk became covered in frost. For once, the dragon was silenced. "In pursuit of truth and a fair way to resolve this matter, yes. There is still a side to this story that needs to be told." "And who would you suggest for this position? It is only fair that each side present a candidate, after all." So wrapped up at the future implications of the case, the question caught Marek off guard. It was a perfectly sensible question, but not one that Marek had a ready response for. "I...am afraid that I am not acquainted with many Jann well enough to recommend anyone in particular." "This is completely unprecedented! ABSOLUTELY PREPOSTEROUS!" Amarth roared, enraged. "See how feeble this attorney's arguments are! He cannot even prepare a suitable response for the consequences of his own actions!" The air around him crackled with static as he fulminated Marek with a glance. "BUT NO MATTER! If he cannot answer, then I will! The office of the prosecution selects, as the representative to the Janni-"
You could have heard a pin drop in the courtroom as a man walked in through the main doors. A Dominian wearing an elegant silver-black adaptive suit with a see-through helmet, and a paper case in his right hand. It was none other than Syrr Safir! "Meskalamdug Amarth!" He called out, all eyes on him. "I have spent all day in an audience with the High Prosecutors, marshaling my own evidence and defending my research! You stand accused of overly biased prosecuting, with an investigation pending for use of illegal tactics! Invested by their authority, I have been chosen to represent the prosecution in this trial. Faced with these circumstances, I will be the one to step forward to represent the Janni government!" Turning to the plaintiff's desk, his eyes met Marek's and he gave him a brief nod. The crowd's attention (and the judges) began to quickly shift between them. "Why...this is quite unprecedented." The human judge spoke up. He was blinking in a noticeable fashion, clearly blindsided by the younger prosecutor's entrance. "I assume that paper case contains all the needed documentation to prove your words as true, Mr. Safir?" In response, the Dominian prosecutor nodded. "In that case, I see no reason, barring the strangeness of this situation, why Mr. Safir should be barred from acting as the Janni Representative. Normally, this would require an unanimous agreement between the prosecution and the defense, but seeing how Mr. Amarth's character is currently in question, I'm afraid his vote must be waived. Mr. Marek, the choice is yours. Do you find Mr. Safir to be a reasonable choice for a representative?" Cadence, despite her lack of understanding of what occurred, is visibly excited to see Amarth on the defense and Safir back in action. Though these turn of events were most unexpected, Marek was not about to let an opportunity like this pass him by. Safir had well proven to Marek his ideals were worthy of law...though he would be on an opposing side, Marek could trust that Safir would not rest until the facts were made clear for all to see, whichever side they ended up supporting. "I believe Mr. Safir will be a reasonable choice, yes, your honor." "Then it is settled." The three gavels banged. "Mr. Safir is appointed as the represenative of the Janni government! Do you require a podium of your own?" The Dominian nodded.. "Thank you, Your Honours. If I may, I would like to request it be placed equidistant to Msrs. Amarth and Marek, please." "GRRRRRRRRRRRRRRAAAAAAAAAAAAARRRRRRGH!" Amarth's podum, which he'd seized in his anger, crumbled to splinters as he crushed it, overcome by fury. "This will not stand! I will see your careers ended! FINE! COME TO ME! I WILL SHOW YOU WHY I AM KNOWN AS THE MASTER OF PROSECUTION!" Cadence can't help but frown. "I feel bad that he is so angry. It seems like this was not the proper career choice for him... He should do something that makes him happy." "At this rate, we shall need a new representative for the Solarians. Perhaps Safir can be in two places at once." Marek jokingly offers. "Watch your tongue, you cheeky squid." Amarth said, visibly fuming. "In spite of how nonsensical this trial has been, I am not prepared to quit. The prosecution..." and at this, he gave Safir a killer glare, "Is prepared to continue, Your Honours." "But... Kris doesn't have a tongue..."
Construction machines were called in. Within fifteen minutes, two new podiums were erected, one for Safir, one for Amarth. The former took his place with grace, while the latter opted to hover above his own instead. "Very well then. I believe we were entering the examination phase of Mr. Amarth's argument?" The human judge said. "As such, we will allow Mr. Marek to continue with his questions. Mr. Safir may participate as well, should he wish to do so." Cadence chooses to stand behind the defense's podium, while Marek floats. "I am unsure how much questioning needs to be done here. The very state of this courtroom now serves as evidence against the bulk of the argument, or at least heavily modifies it. Vadimar is under jurisdiction of the Solarian government, but the Jann have a claim because of it. Solarian jurists and lawmen were not consulted, but the case is now bigger than a singular race. The soundness of mind remains to be legally established, but we are in a better position to do that now than before." The judges nodded. "Then what amendments would you propose here?" "The involvement of Jann now puts Fact 1 into question. It should be either deleted, or heavily amended to reflect this. Fact 2 is rendered irrelevant given the scope of this trial...it too should probably be deleted. Fact 3 is fine as is. The assumption almost defeats itself should Mr. Safir's earlier claims be proven accurate. I believe it should be deleted too." Quite a few moves for deletion, but now was a prime time to press the advantage. "Mr. Safir, do you agree with these requests?" The Dominian nodded from his podium. "I do." Amarth straigthened up, until his presence dominated the courtroom. "Very well then. Perhaps it is time for me to present a real argument." FACT: Vadimar is a slave. FACT: As a slave, Vadimar has no rights to emancipation under Solarian law. ASSUMPTION: Vadimar should remain the property of the Solarian government. "A very simple case, really." He explained, to the stunned courtroom. "You see, it is part of the Solarian constitution that the acquisition of slaves is legal and permitted. Several lesser subdivisions of the Solarian people have instituted further laws banning or restricting slavery, but alas, Galería is not one of them, opting instead to defer to general Solarian law. Let me be clear here: It does not matter what Janni law has to say on this matter. Short of beginning a war to reclaim Vadimar, he is Solarian property, and so he shall stay." Amarth's tone of voice was matter-of-fact and deadly serious as he explained this. "I preferred to appeal to due process as the primary reason to throw out this case, but it has in fact never had any ground to stand on, legally speaking. A pity that you wasted your time on such a grand entrance, Mr. Safir. Mr. Marek, you can forfeit your case now." Cadence turns to the judges. "Your honours, a question... I learned recently that Ur-Kal does not accept slavery. If slaves are brought to Ur-Kal, does the law recognize them as belonging to their owners? Or are they considered free while in Ur-Kal?" The Inferian judge was the one who recovered most quickly. The human judge was still stunned, and the Audacian was seething so profoundly that her features had already started to partially bulk up due to rage. "It's a grey area. Previous claim is a thing...but forceful apprehension is something that cannot be tolerated. We've never had to rule on it before..." he covered his head with his hand. "A real trial of firsts, this one." "Lacking ground to stand on is no concern for a Luminian, but in this case, perhaps you will see that my ground is, in fact, quite firm, Amarth. If it is spoils of war you wish to argue, then argue it we shall. By virtue of being attacked by Vadimar, and of the party in question defeating Vadimar, we hold the right to claim him as a spoil of war through Solarian law. Is this, or is this not the case?" Marek didn't quite like using slave status as a means to support his client, but his first priority as a defense attorney was to his client's wellbeing and the logic was good either way. Either Vadimar would be under the jurisdiction of the party, or the Jann, both preferable results than under Solarian control. From there, legal status could be more favorably established. "If you were an independent force, then perhaps yes. As representatives of the Galerían government, however, there is no chance at all of that being the case," Amarth said, dismissively. However, the human judge did not seem to agree in full. "What are you getting at, Mr. Marek? I'm afraid I cannot see the point of this argument yet." His tone was curious, encouraging Marek to continue his explanation. "Locally, we were indeed representatives of the Galerian government, but prior to such, we were first gathered by a Jann citizen known as Dinahzad Maia from Noa Novis. It is from these roots that our authority was first established, and thus holds the stronger claim." "WHAT?! What is this tomfoolery?!" Amarth cried out. At the same time, the rumouring on the stands hit a fever pitch. Taking his opponent's burst of outrage as a serious question, Marek responds. "It is nothing more than the formation of the core party in question. If there is something you would like clarification on, I can elaborate. It was quite a rocky path from the outset..."
"Please, go ahead." The human judge said, nodding. "Kris and I, traveling with our... friend, Sakra... we arrived at Galeria a short while ago. We were under suggestion from a Janni lady we met at Noa Novis... her name was Dinahzad Maia. She suggested that we travel to Galeria, following a large shipment of two compounds, Vitovsis and Alkmenazyne. Combined, they had the power to put a lot of people out of commission. And that is precisely what happened after we arrived at Jaen. The two chemicals were released in a vapor mixture into the streets, and the Dalla Nu people were put into stasis. Us, along with a few other travelers, managed to avoid the effects. That all led to us meeting with Galerian authorities to seek out the culprits. That's how our group got together." Cadence turns to Kris. "Should I go on?" Marek nods "It is good to get a clear timetable of events established." "Kris, Sakra, and I... along with our newfound allies, were able to meet with Radhia Minoer. She sent us to a water plant, the suggested site where the people who released the chemicals were to poison the whole population. We arrived, engaged them in combat, then stopped to talk. Their leader, Darzi, told us that her group's whole purpose on Galeria was to find some Wordtech that the Dalla-Nu were researching. From what I understand, that was something that could not be allowed to happen... Kris tells me that Wordtech was used for war. So Darzi spoke to us of a plan, where they could release their chemicals for an invasion of Basomundo, where Vadimar was being stored. We went to Commander Minoer to seek a resolution that would be free of bloodshed... but we received word that Basomundo was already under attack. Darzi knew nothing of it, so we assumed some third party was involved. We arrived at Basomundo, and after a... terrible mishap... we entered the base where we discovered Vadimar. Vadimar, as some sort of... soldier, or slave, of the Dalla-Nu people... attacked us." "As Kris points out, we were at Galeria under orders from Miss Maia. An Amala. Then we were attacked by so-called 'property' of the Dalla-Nu. We defeated him... which makes me really confused why everyone is so afraid of letting him be free... but we promised to help him. Commander Minoer asked us to secure the base, or to destroy the Wordtech. We secured the Wordtech that had threatened us." Cadence turns to Marek. "Is that everything?" "That is accurate for the purposes of this court, yes. Well done, Cadence." "... Please Kris, I am not some Lasud to be praised for doing a trick." "My, that really is quite a story." The Audacian judge was the one who broke the silence. It seemed that the story had calmed her down quite a bit. "That introduces a new wrinkle into the proceedings, certainly...we may have to call Miss Maia to Ur-Kal to testify. Mr. Marek, are there any reasons you might find this objectionable?" A feeling of dread builds inside Marek as he realizes the implications of what bringing Maia might lead to. "Ah...well...you see....there are many ways in which a person can object, and some of them are more objectionable than others..."
Before Marek could say more, the glass and metal dome of the Prime Galactic Tribunal was shattered by the arrival of a messed-up looking ship. It bore the marks of recent combat, its paint scoured by laser blasts, its hull dented by missiles, but it was whole and flight-ready. And atop the ship, Darzi turned to the motley crew she'd picked up at the Golden Mirror. "It's your turn now! Jump down and we'll drop the big lug after you!" Drawing several small circular geegaws from a pouch, she threw them to ADAPA, Tank, Vaz'kar and Sakra. "Shock absorbers. These babies will soak up the fall for you." "This is really exciting! Whee!" ADAPA attaches the shock absorbers and jumps immediately. Vaz'kar almost vaults out of the ship, diving gracefully before pulling up alongside Cadence and Marek. Sakra glances at the Shock Absorbers, turns away, and simply teleports straight to the ground. "I heard you guys were making news and thought I'd see what was up." For a moment, the crowd, the judges, and even Safir and Amarth sat in stunned silence. As the roof got destroyed, Cadence hid down below, until Vaz's arrival stirred her up. "Vaz... this is a public court of law! Why are you destroying it!?" "Hey guys, nice to see you again! I brought a friend." "Did you happen to lose a defendant?" "I brought a hunk of metal for you." "I didn't see any other way of getting it in here." "I'm not sure he would've fit through the front door, anyway." Blink blink did that just happen? Marek was as dazed as everyone else, but this could only mean good things "...um...what was the question again?" "Mr. Marek! What is the meaning of this? Are these...these ruffians on your payroll?" The Audacian judge recovered first, turning to stare at him, confused and outraged at the destruction of the dome. "Like I said, he wasn't going to fit through the front door." "And I think you needed your defendant back." "Who is 'he'? Surely you don't mean what I think you mean?" The human judge interjected. With a defeaning crash, a large metallic box slammed into the center of the courtroom from above. Marek pauses to shake his body and loosen his mind, soaking in the situation. "I...." and is promptly silenced by events. There was a hiss of pressurized steam, and all sides fell apart...revealing none other than Vadimar, terribly wounded, his eyes still broken, but unbowed. "Meet your defendant, back from Solarian jurisdiction." "It is MY future that is at stake here. For the sake of my pride...for the sake of my function...and most of all, for the sake of my charge, I will NOT allow it to be determined without me!" Folding his arms over his chest, he stared down the court. "My name is Vadimar. I am the matchless space ace. And I have returned, at long last, to this court!" "I just told you that Cadence." At last, the silence of the crowd was shattered...by a long, shocked gasp!